One of the most beloved fantasy epics of all time, The Lord of the Rings was first published in 1954, inspiring generations of fans still to this day. The story follows Frodo, a young hobbit from the Shire and heir to Bilbo Baggins, as he and his Fellowship of men, dwarves, elves, and other hobbits embark on a perilous journey to destroy the One Ring. At Superheroes Direct, we offer the ultimate collectibles for any fan of Tolkiens novels and the hit movies his works inspired. We even carry sets of the books, perfect for fans of the movies looking to delve deeper into the world of Middle Earth. 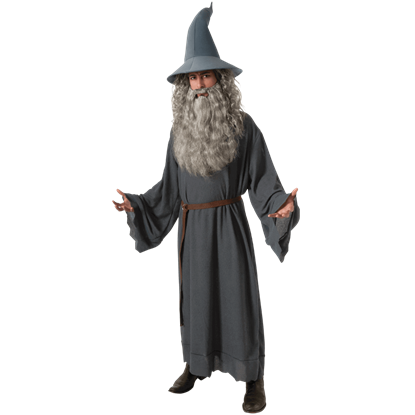 Our multitude of costumes for both children and adult fans include popular characters like the Ringwraiths, Arwen, Legolas, Aragorn, Gandalf, and even Frodo himself. Costume accessories, like our Gandalf beards, elven ears, brooches, necklaces, orc masks, and our replica of the One Ring are great for completing any Middle Earth inspired ensemble. Display your devotion to all things Tolkien with our various t-shirts, hoodies, and long sleeve shirts featuring graphics inspired by the films and novels. Our vintage metal signs depict iconic scenes from Frodos epic quest, adding a touch of fantasy charm to any home decor, while our ultimate collectibles, such as our replica weapons, statues, and pipes look stunning in any LOTR collection. A wizard is never late. Nor is he early. He arrives precisely when he means to. When you dress as the gruff grey wizard, have fun quoting some of his best lines. This Adult Gandalf Costume is perfect for Halloween or other events. 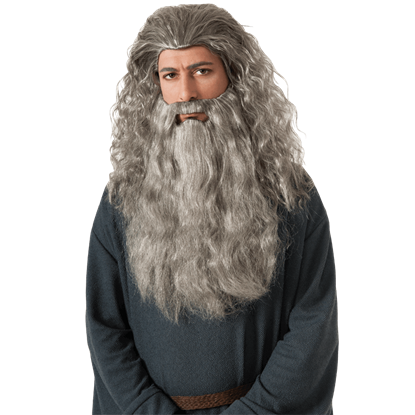 If you are seeking a company to join you on a grand adventure, you will find that wearing the Adult Gandalf Wig and Beard lends you an air of wisdom and power. This accessory set is perfect for Halloween and other costume events. Renowned for his skill at archery, Legolas Greenleaf is a valued member of the Fellowship of the Ring. 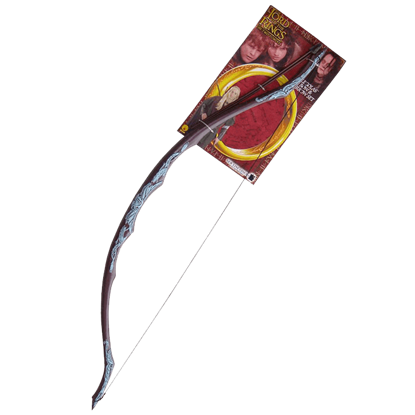 This Adult Legolas Costume Bow and Arrow Set will provide a finishing touch to your elven ensemble for your next Tolkien event. Our costumes are great for Halloween, and they are also great for costume parties or any occasion that calls for dress up! 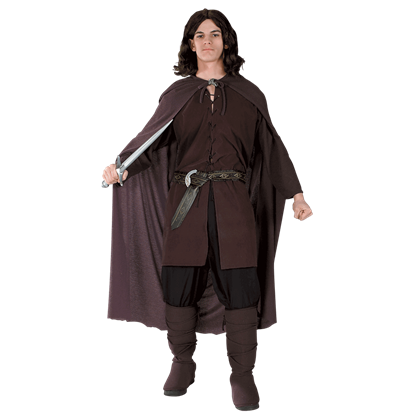 Our Adult Aragorn costume comes with the tunic, cloak, belt, and boot tops. Our costumes are great for Halloween, and they are also great for costume parties or any occasion that calls for dress up! 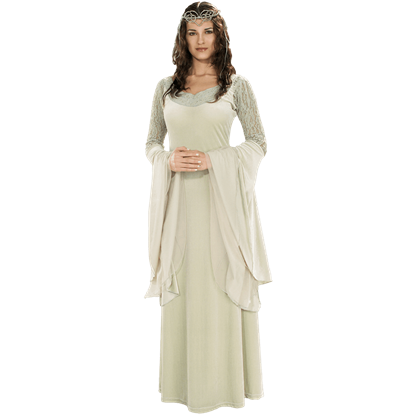 Our Adult Arwen costume includes the white dress with metallic trim for a pure, maiden-like look. Our costumes are great for Halloween, and they are also great for costume parties or any occasion that calls for dress up! 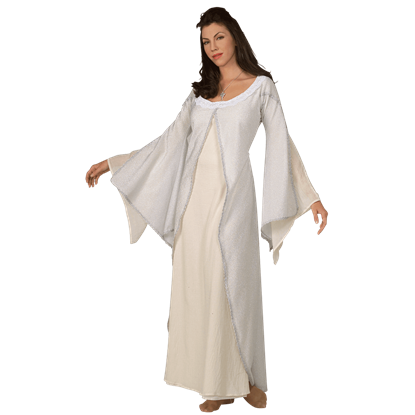 Our Adult Arwen costume includes the white dress with metallic trim for a pure look. Our costumes are great for Halloween, and they are also great for costume parties. 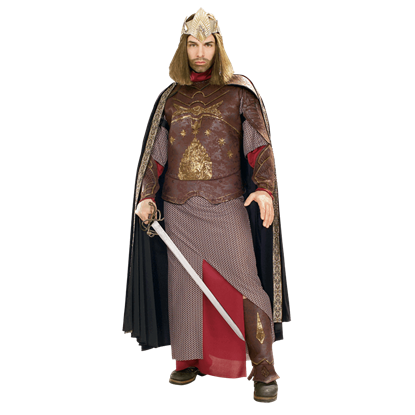 Our Adult Deluxe Aragorn King of Gondor costume includes the robe, the chestpiece, the boot tops, the crown, the cape and the gauntlets. Our Adult Deluxe Queen Arwen costume includes the dress, which is a very light shade of green and features lace on the sleeves and neckline, and the tiara headpiece, all of which create a lovely look for any elf maiden. 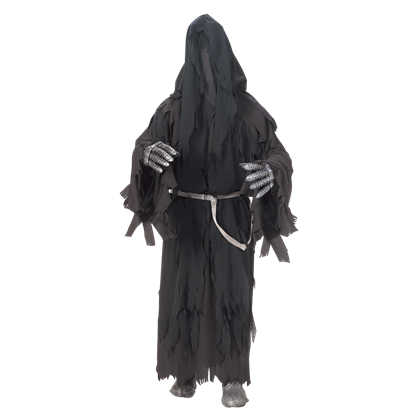 Our Adult LOTR Deluxe Ringwraith Costume includes the hooded robe with mesh face and attached drape, the belt, the latex gloves and the shoe covers. With the mesh face, you can see out, but others cannot see in. Our costumes are great for Halloween, and they are also great for costume parties or any occasion that calls for dress up! 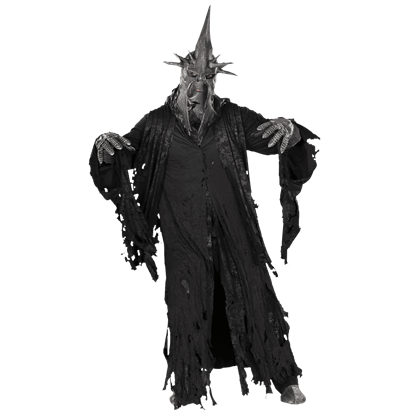 Our Adult Deluxe Witch King costume comes with the robe, mask, gloves and the shoe covers. 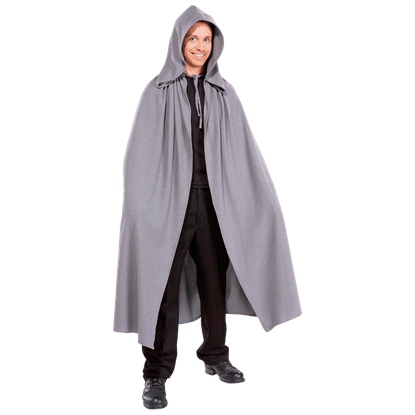 The Adult LOTR Grey Elven Costume Cloak is made of polyester, which is a typical costume material. You can wear this with any of our Lord of the Rings Costumes, and it also looks great with any medieval or renaissance themed costumes. 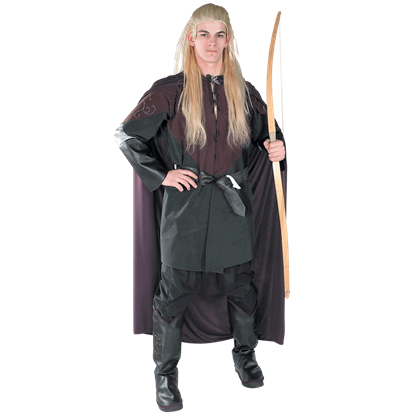 Our Adult LOTR Legolas costume comes with the tunic, cloak, belt, and boot tops. A great accessory would be the Legolas Bow and Legolas Wig to make a complete look of this legendary Mirkwood elf. I'm real happy with the past few orders I've received and it turned out to be a great superhero products. Wanted to give you guys a big thanks for everything, I loved your tee shirts and gear!